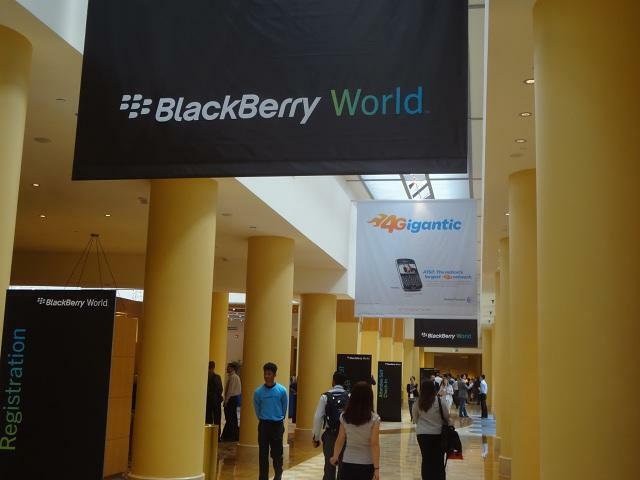 RIM provided a decent amount of details for its BlackBerry 10 (BB10) operating system during a keynote on Tuesday at BlackBerry World 2012 in Orlando. The operating system looks great: there’s a fluid user interface that allows users to view notifications by side swiping, a much improved messaging platform, homescreen widgets and much more. Except there’s one huge problem: it’s still not ready for anyone to play with. You may have seen a number of hands-on posts today, we had one too, but the problem is that we were actually playing with a “BlackBerry 10 Dev Alpha Testing Device.” The phone doesn’t run BlackBerry 10, so nobody at the show is actually getting an up-close look at the new operating system. Not even developers. Instead, the device is exactly like a smaller BlackBerry PlayBook, and it’s running a watered-down version of BlackBerry PlayBook 2.0. That means all we’re really seeing is just a taste of how well a QNX-based platform runs on a smaller display. It’s not that exciting. There was a ton of hype around BlackBerry World and a lot of questions as to whether or not RIM would announce new hardware, including the possibility of a new PlayBook with either a larger screen or 4G LTE connectivity. It hasn’t, and we don’t think that it will during the rest of the week (although there’s still a small possibility). Instead, it was made clear today that RIM is trying to build excitement around its next-generation OS, BlackBerry 10. The only problem is that, while screen shots and videos are compelling, it’s totally unclear just how ready this operating system is. Clearly it’s not too polished, otherwise we’d be able to play around with it for a bit. This is RIM’s show. It’s the company’s chance to rally developers and press into believing that it’s ready to get back into the U.S. market and that it’s ready to compete with iOS and Android. We’re not seeing that. Instead, we’re seeing a company doing what it has always done: make promises for future announcements and launches. RIM doesn’t have that kind of time — it needs to get BlackBerry 10 out the door ASAP. We’re still expecting the first BB10 devices to ship later this year, RIM basically confirmed that during its keynote this morning, but October seems too far off. Worse, how can anyone really get excited about BB10 when RIM doesn’t even have devices ready at its own conference? We’re rooting for the BlackBerry maker, it’s just hard to keep enthusiasm when it keeps letting us down.